The methodology I use to create marketing plans is detailed in my book The Marketing Plan Handbook (Entrepreneur Press, 2010). Building out a product line. Integrating online and offline promotion. Using analytics to measure key performance metrics. Writing the formal marketing plan. Reviewing and troubleshooting the plan. 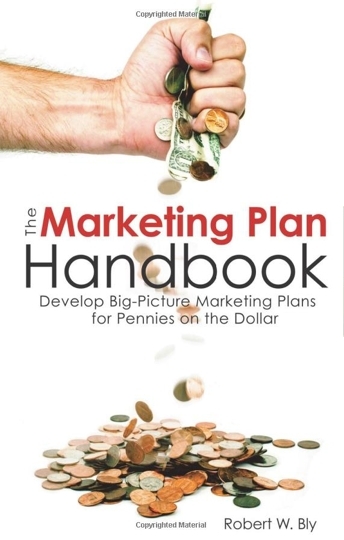 To learn my marketing plan methodology in detail, you can buy The Marketing Plan Handbook online, just by clicking on the front cover image at right. The most detailed and expensive planning process is to retain me to create a formal marketing plan for your business, following the outline and methods used in The Marketing Plan Handbook. The least expensive option is to buy the book (it’s less than $20) and do the plan yourself following my methods and guidelines. A more affordable option is to eschew a formal plan and have me make informal marketing recommendations – ideas on how to promote your product and increase sales, presented in writing. Another affordable option, the marketing audit is a review of your current marketing programs with a critique and recommendations for improvement.